Community Choice: The top Application Virtualization Solutions 2019! This is an agnostic technical comparison of the leading Application Virtualization solutions in the industry. 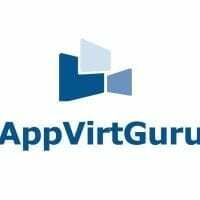 The comparison has been compiled and published by the AppVirtGuru team. Run virtual apps without directory service req. + Integration with App Volumes and Horizon. Next to App-V, it's the most widely used product. + Integrated nicely with Citrix XenApp 6.5. Had a great file, registry and directory redirection feature. + Possibly the most widely used of all appvirt products, thus it has a relatively large online community and a pool of skilled talent for employers. + Has integration with many 3rd party products including XenApp, SCCM, Admin Studio etc. - Though packaging is pretty streamlined and relatively simple with a series of text files, making updates to large applications requires recompiling the .exe which can take a long time. Development was pretty slow and this was the last product to support 64-bit applications. Newer versions of Office or new Windows Operating System have limited functionality. - Has been EOL for so long. Missing basic features like Windows10 support. - Out of mainstream support. Does not work or integrate well with newer platforms and Operating Systems.